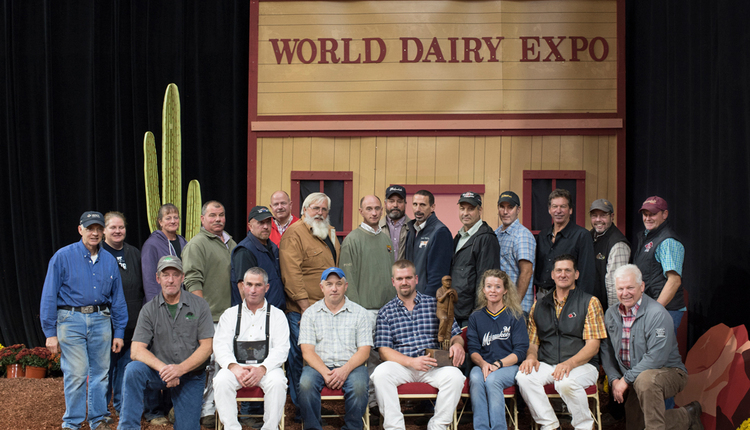 Evan Creek of Hagerstown, Md., was presented the 28th Klussendorf-MacKenzie Award during the 52nd World Dairy Expo, in memory of Duncan MacKenzie, the 1961 Klussendorf winner. This year’s Duncan MacKenzie winner is first class. 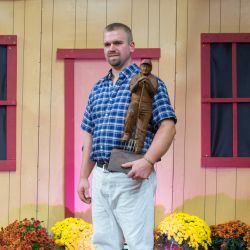 He is a man who will look you in you in the eye and respectfully call you “sir or ma’am” and is always sure to say a very sincere “Thank you.” The list of Klussendorf and Klussendorf-MacKenzie winners whom Creek has worked with for sales and shows is extensive. That’s because he is a “go-to guy” for many people. That list includes MD-Maple-Dell, Triple-T, Arethusa, Kueffner, Sherona Hill, Glamourview, Windy-Knoll-View, Waverly, Snider Homestead, Duckett, Gil-Tex, Oakfield Corners, River Valley, MD-Hillbrook, Morrell, Pappy’s, Van Exel, Elite, and Bendig. This list could go on and fill a book of herds that trust the care of their top animals to this talented individual. Creek started out his career by developing a firm foundation through 4-H and FFA and has bred and owned many junior and open All-American nominees. He also has bred numerous sires that have successfully influenced the breed through their active service in A.I. programs. One of those bulls is the reigning Premier Sire of both the heifer and cow show at World Dairy Expo, having earned that title for the fifth consecutive year with this year’s show. That bull is Palmyra Tri-Star Burdette. That’s not all. Nearly everyone will recognize his homebred cow — Palmyra Berkely P Ruth-ET — who successfully defended her 2017 title as Grand Champion of the International Ayrshire Show at World Dairy Expo earlier in the week. Ruth, along with her herdmates, gave Palymra Farms of Hagerstown, Md., both the Premier Breeder and Premier Exhibitor banner to Evan Creek and his family. While Evan has an impressive dairy résumé, it’s most important to note that he exemplifies the standards that made Duncan MacKenzie the forbearer of this award. The author is the managing editor, and he brings 22 years of industry leadership to our readers overseeing all editorial content and production of the magazine. His degree from the University of Wisconsin-Madison combined dairy science and agricultural economics.